Founded in 2006, Yili focuses on developing construction equipment for years. Yili is one of the most professional construction equipment manufacturers. 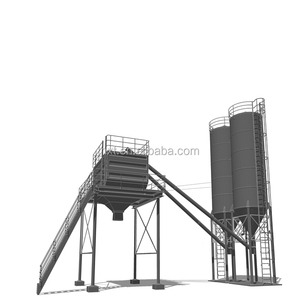 We will design the concrete batching plant based on the customer&rsquo;s' requirements. 2 YRS Xiamen Zhongtai Industry Co., Ltd.
5 YRS Zhengzhou Qiangli Machinery Manufacture Co., Ltd.
12 YRS Fujian Xinda Machinery Co., Ltd.
(100ton steel cement silo for sale) 2. Good Sealing Performance * Every connection line is standard, smooth surface, fit each other very well. 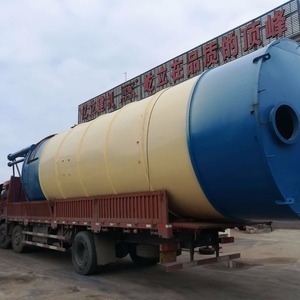 (100ton steel cement silo for sale) High efficiency fludizing system used in the silo bottom for discharging and no block. ** Routinely telephone track to remove all might be problems or issues guarantying the whole system long lasting safety and reliability. 2 YRS Shandong Tianyu Construction Machinery Co., Ltd.
1 YRS Xinjiang Lvzhou Machinery Co., Ltd.
1 YRS Henan Langzheng Machinery Manufacturing Co., Ltd.
1 YRS Chongqing Linsan Lihe Construction Machinery Co., Ltd. 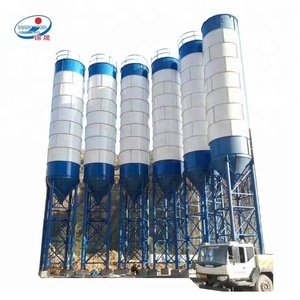 Sand Storage Steel Bolted Cement Silo Price in Bahrain &#9679; The cement silo is usually used with concrete batching plant to store bulk cement. 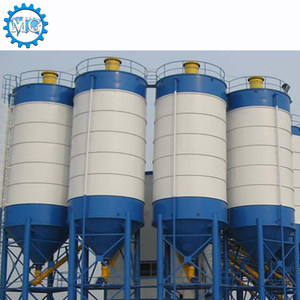 &#9679; Equipped with a safety valve at the top of cement silo, cement silo used to balance the pressure difference between inside and outside. 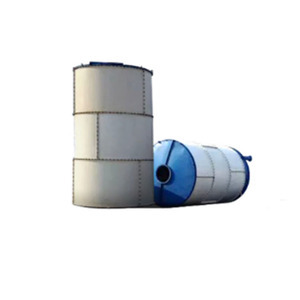 Cement silo spare part Name : Level indicator Original : China Each silo generally uses two binometers, which indicate the highest and lowest material height respectively. 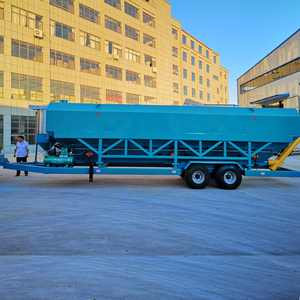 1 YRS Zhengzhou Huafeng Construction Machinery Co., Ltd.
1 YRS Hunan ZTB Machinery Equipment Co., Ltd.
Alibaba.com offers 10,075 cement steel silo products. About 29% of these are concrete batching plant, 23% are silos, and 1% are animal feeders. 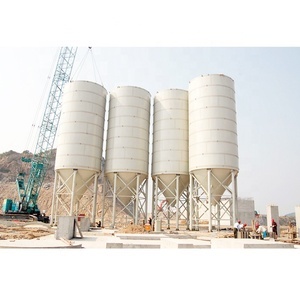 A wide variety of cement steel silo options are available to you, such as new, used. You can also choose from free samples, paid samples. 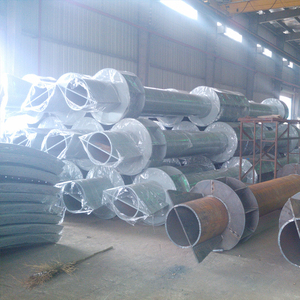 There are 10,075 cement steel silo suppliers, mainly located in Asia. 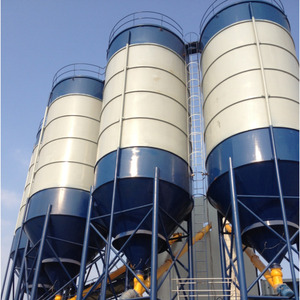 The top supplying country is China (Mainland), which supply 100% of cement steel silo respectively. 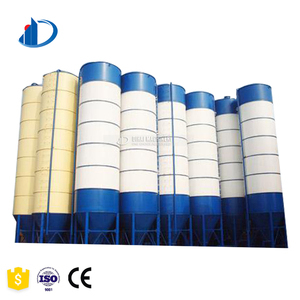 Cement steel silo products are most popular in Africa, Domestic Market, and South Asia. You can ensure product safety by selecting from certified suppliers, including 3,304 with ISO9001, 2,475 with Other, and 411 with OHSAS18001 certification.